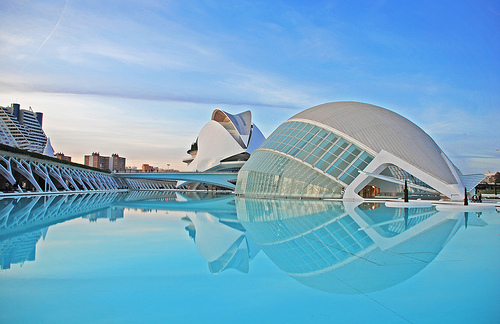 Field Trip: Please hold the date from 5th to 7th April 2017 for the WATEF field trip to Valencia - further details available shortly. WATEF Conference 2018 - 5th to 7th September 2018 we are pleased to announce that the next WATEF conference will take place at the University of Aveiro from 5th to 7th September 2018. This will be the first international WATEF conference and we are looking forward to networking with a range of international delegates. Please SAVE THE DATE. We also plan other events during the year - please look out for details on our events page. If you would like to propose ideas for WATEF events please e-mail us - all suggestions gratefully received. 18th UK - IWA Young Water Professionals Conference - 10th to 12th April 2017 (University of Bath) see here for further details. Call for abstracts is now closed. AMPS Conference "Cities, Communities and Homes: Is the Urban Future Livable?" 22 to 23 June 2017 (University of Derby) - see here for further details. Call for abstracts closes 1 March 2017. IWA Efficient 2017 - 18th to 20th July 2017 - University of Bath. See here for further details. Call for industry abstracts closes on 15 February 2017. The conference is being organised by IWA and Waterwise, in collaboration with the WATEF network and WIRC (Water Innovation & Research Centre, University of Bath).